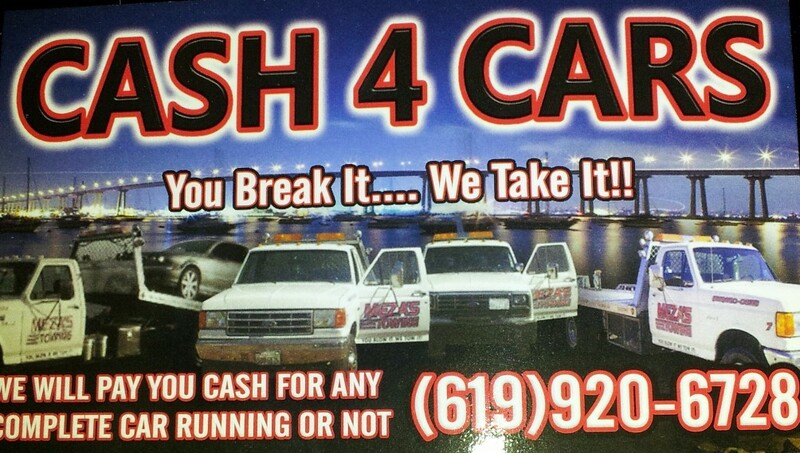 We pay Cash For Cars RUNNING OR NOT. We will come out and tow it away. 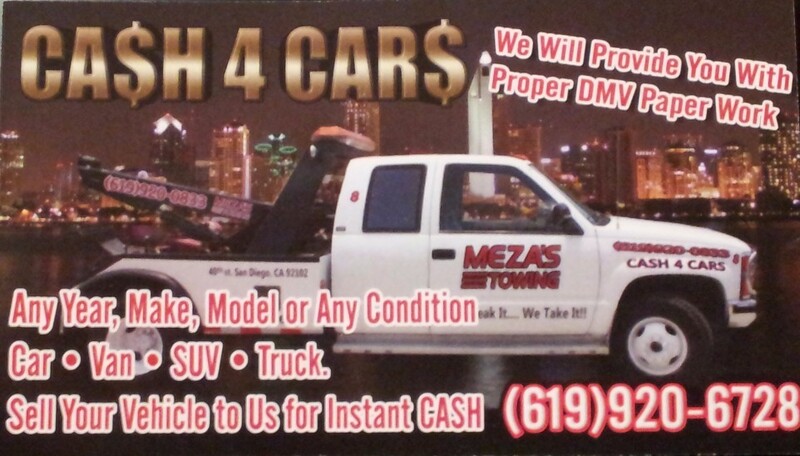 We will help with all DMV paperwork. Call today for a Quote.